When growing up, we loved Cape Cod (and still do!). The summer days were relaxing and filled with sunshine, beaches, and fishing. At the end of every beach day we took a quick dip in a freshwater lake such as Scargo Lake in Dennis, or rinsed off in our outdoor shower to wash away all of the sand and salt. Our Cape Cod Shower Kits have become an iconic symbol of summer on the Cape so no matter where you reside, you can have a little piece of the Cape at home with you. 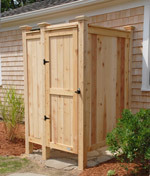 We take pride in our outdoor shower designs and think that every one should be top quality which is why we build each and every one by hand on Cape Cod. 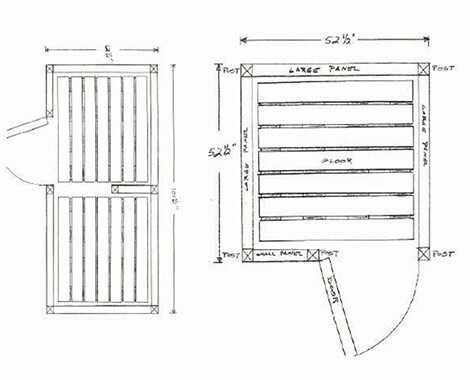 Built to last, our outdoor shower kits are made of durable tongue and groove highest quality cedar which can either be stained, painted, or left to weather naturally to a classic gray. Due to popular demand, we are now also manufacturing our shower kits in beautiful and durable PVC. Click here to see them in many locations. We want our shower kits to be a great addition to your home and we are happy to customize your Cape Cod Shower Kit to your individual needs and tastes for most designs, just ask us! Out with the Old Fence Showers. In with the New Designs. 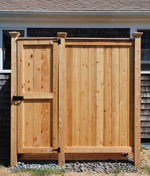 Some of our customers were first interested in our outdoor shower designs because they were looking to replace their old “Fence Shower”. Fence showers are now dated, unstylish and can warp over time. You aren’t using that same shag rug from the 70’s, are you? We didn’t think so. Updating your outdoor shower area with our Outdoor Shower Kits will change the look of your background or outdoor living area. 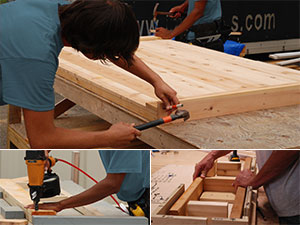 Our goal is your satisfaction – to offer you a great product at a better price and also save you time. Send us a note if you have any questions or would like to know more! 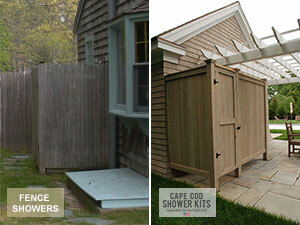 Thank you for considering Cape Cod Shower Kits!